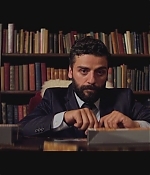 Added to our site are screencaps of Oscar Isaac in the trailer of his new short “Ticky Tacky. You can check them out below. Oscar Isaac Gets Extended Role In Star Wars VII?